Once you and your party charters a boat from Vela Dare, we tailor an itinerary for you. We briefly describe the highlights of the Turkish coast in another section. 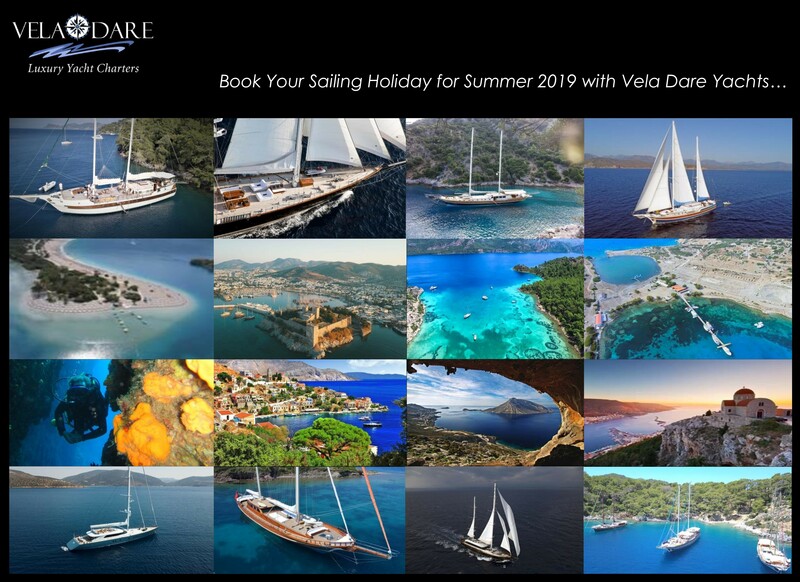 Plan your blue cruiseOn arrival in Turkey you will be met by an English speaking Vela Dare representative at Dalaman Airport, and transferred to your yacht or residence by air-conditioned minibus. Snacks and welcome champagne will be served while we brief you about life on-board and introduce the crew. Skippers who spend half of the year in the Caribbean and half in the Mediterranean, say Turkey’s is the most stunning coast to sail. It is not that the Caribbean is not fascinating, but this coastal stretch of Turkey offers more than pristine white beaches and palm trees. Your sailing holiday becomes unique, embellished with beautiful scenery and Turkey’s rich historical heritage. Fascinating ruins are scattered all along the coast; Lycian tombs artistically carved into rocks overlooking the coves, where your boat is moored, turn your sailing holiday into a voyage through the largest open-air sail-in museum in the world. Unlike cruises on ocean liners, on a gulet you can explore the secluded and often deserted bays and coves of the coast. Visits to small harbours and coastal settlements offer an intimate view of local life which large ships can not replicate.